An easy and inexpensive way to filter out what your vacuum pump may ingest. Submerge it in an ice bucket for a cold trap effect. Clear glass shows what is being collected. The steel wool filter material can be cleaned and reused. 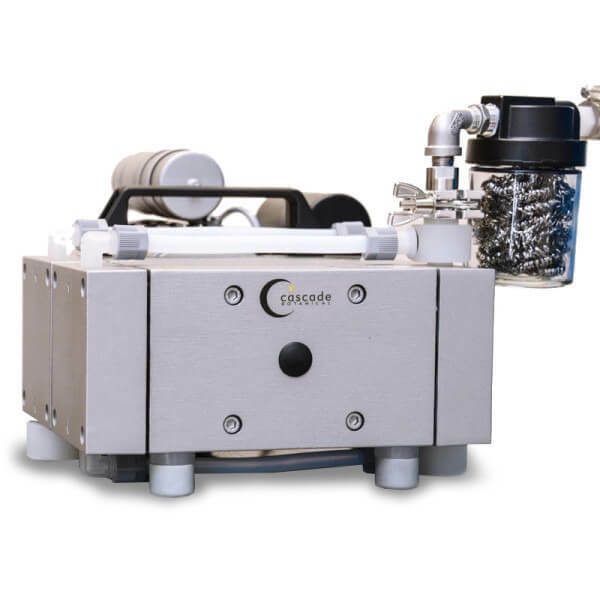 This filter trap comes standard on Cascade Sciences vacuum pump model CB2052.